Aaron Cole April 12, 2019 Comment Now! 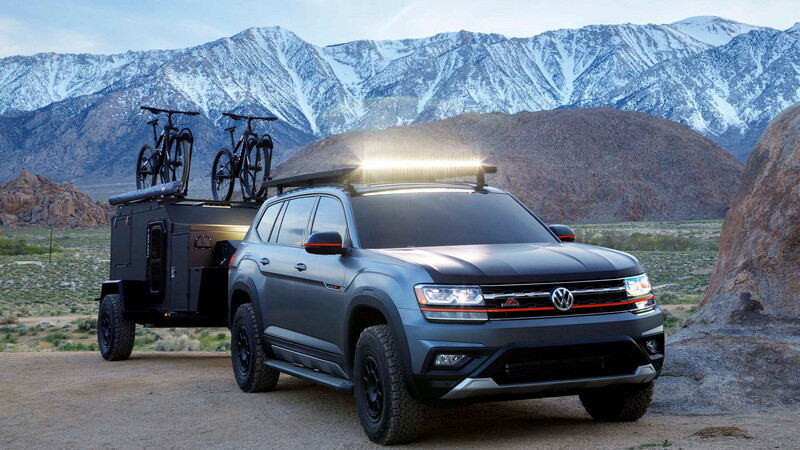 The Volkswagen Atlas Basecamp Concept that was revealed Friday ahead of the 2019 New York International Auto Show is the automaker's tool for the trailhead. Built for mountain bikers, the Basecamp Concept started life as an Atlas SEL Premium and then chunky 265/70R17 all-terrain, custom-made tires showed up. An H&R lift with coil-over springs raised the ride height about 1.5 inches, although it's unclear if that added to the Atlas' stock 8.0-inch ground clearance. 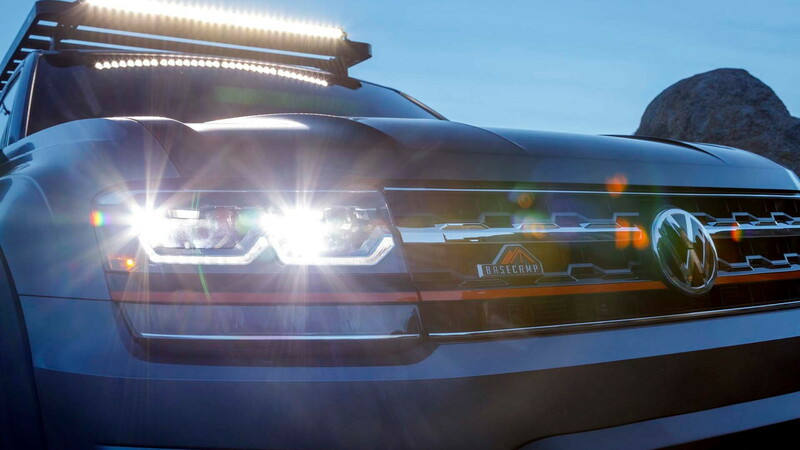 A Front Runner Slimline roof rack holds the requisite mountain bikes, while a bright LED light bar lights up the trail like Yankee Stadium. 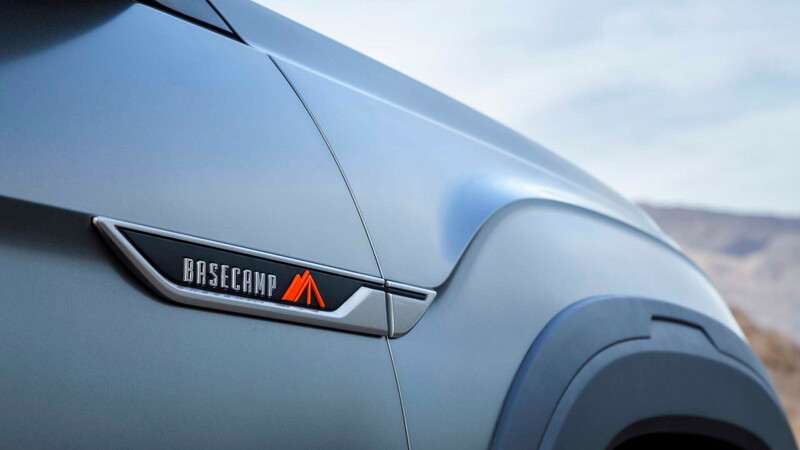 Matte gray and black paint with orange accents finishes off the Basecamp Concept's exterior. The trailer hooked behind it? That's the Hive EX compact camper, complete with a queen bed, canopy, small kitchen, and hot shower if trail riding takes priority over going home. We're in. 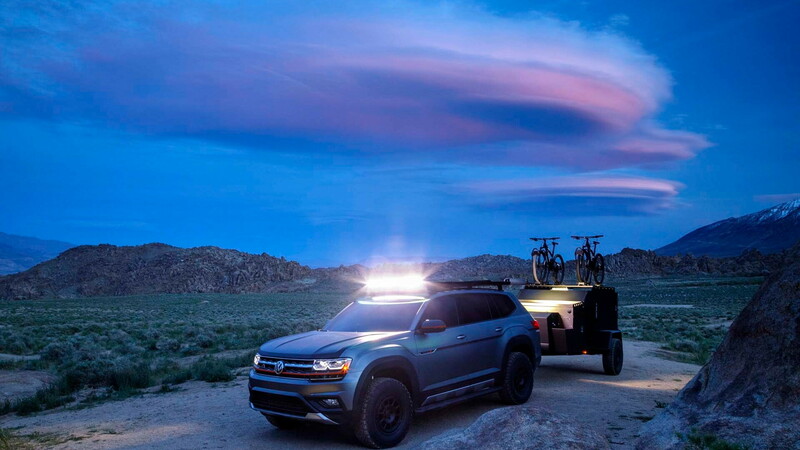 The Basecamp Concept is powered by VW's trusty and timeless 3.6-liter VR6 that makes 276 horsepower and is hooked to an 8-speed automatic and all-wheel drive. It's the engine in most Atlas models sold in the U.S. and although we haven't yet taken one scrambling up a mountainside, we imagine the increased ride height and chunky tires would do just fine. 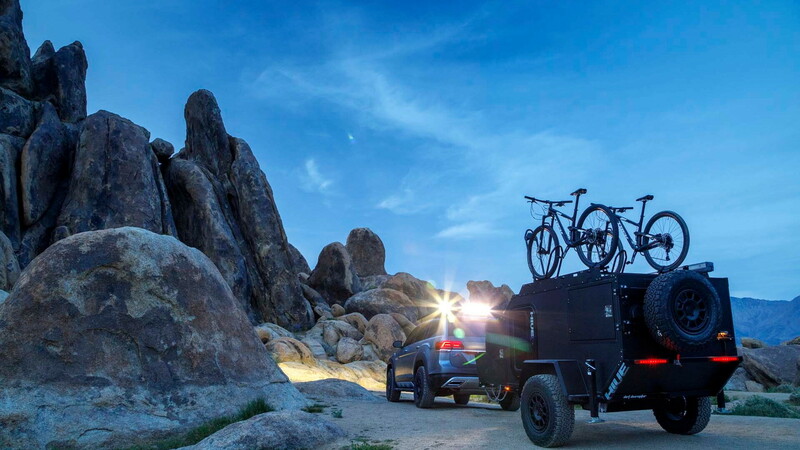 The Basecamp Concept also will appear at the 2019 SEMA show taking place in Las Vegas in November. Whether or not one shows up at a local dealer is anyone's guess. The New York auto show starts April 17. To learn about some of the other vehicles set to appear, head over to our dedicated hub.